How Can You Talk to Loved Ones about Their Trauma? 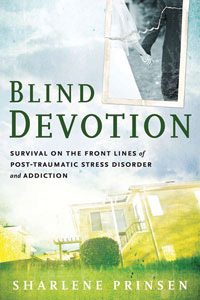 Author of Blind Devotion shares her experiences with her military husband's PTSD and offers thoughts on how to open communications. Many clients with co-occurring disorders experience sleep problems but have difficulties with sleep medications. Researchers at the Dartmouth Psychiatric Research Center highlight findings on the efforts to integrate treatment of co-occurring PTSD and substance use disorders. This 35-module online course, when paired with clinic hours, provides clinicians with the training needed to achieve credentials in co-occurring disorders treatment. Once clients see the connection between group work and the achievement of their own goals, they have the motivation they need to move toward recovery. Symptoms of trauma often take multiple forms, and those who've experienced a traumatic event are often unwilling to discuss it. These tools can help clinicians assess their clients.